Here is the deal: This is one of those 3 minute comedies with characters speaking faster than you can read the subtitles, and by episode 4 the tone of the show is set in stone. Basically it is four students in a school library, to include 'Miss Bernard' who doesn't read books, but likes to get into the same oddball ESOTERIC discussions about the works that you'd find on any online forum. And the conversations between the four are funny in the way that fellow bookworms would get. As of episode 4 I can safely give this anime four stars for competently doing what it set out to do. 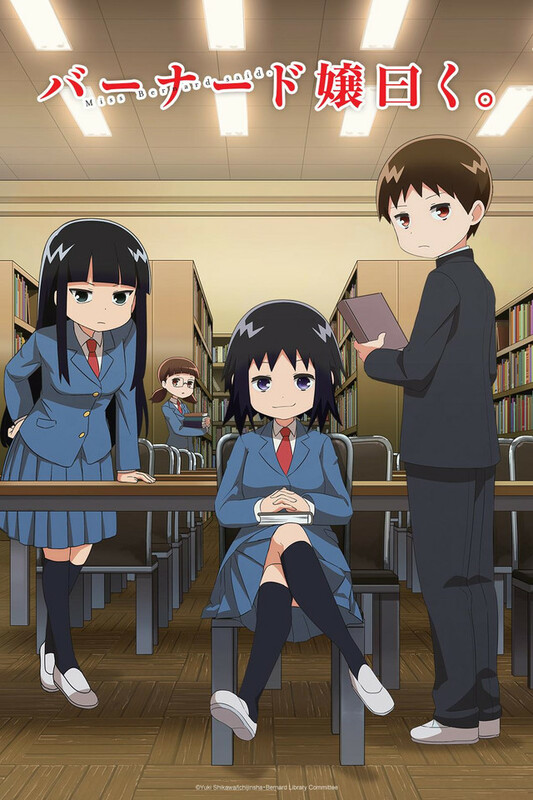 about books and the interactions of Machida Sawako , who reads only occasionally, but can frequently be found in the school library with a book in hand , although she understands little about literature; and her interactions bookish friends, Kanbayashi, Shiori and Endou. Shiori loses it regularly about Machida's lack of knowledge and her persistence about her loving books. This is done in a fast paced style with characters talking a mile a minute and yelling frequently. If you don't like the style, then you won't like this anime. It's very well written if you can get beyond the style then they have some great discussions about literature. also good character dynamics in the show. I liked all of the characters, but "Miss Bernard" and the serious reader Kanbayashi have the best chemistry and I liked their episodes best. Given how quickly one can binge the whole show, it is definitely wort checking out. Literary education promotion at warp speed. 'Ms. Koizumi Loves Ramen Noodles' will expose you to lots of ramen information and may inspire you to try some. This show will expose you to lots of book information and may inspire you to read the same books these characters read. Obtaining copies of these books should prove an easier task for many viewers than getting good ramen. Because this show covers so many authors and titles and will introduce many works to viewers who might not otherwise have heard of them, I am awarding it five stars. I love what this show is about and accomplishing. That being said, I can usually follow the fastest anime, but I have difficulty keeping up. Take a breath, girls!!! Unfortunately this means my dyslexic partner can barely follow any of it. It is worth the couple minutes if you can read fast. If you haven't read all the sci fi listed, START! This show is like a treasure trove of good literature.